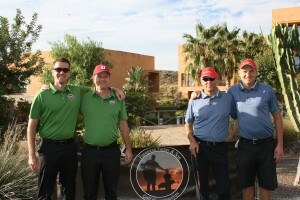 The European Father and Son Championship Final was held at Valle del Este from 28th October to 2nd November this year. The event was a great success and the participants were very complimentary of Valle del Este Hotel and golf course, commenting that in the 6 years the event has been running, this year was the best ever and the best organised. Part of the appeal of Valle del Este hosting the event this year was the promotion on SKY SPORTS TV, not only for the hotel but also the Almeria area as a destination for your golfers. Valle del Este and the Almeria area will be aired on SKY SPORTS TV along with the tournament highlights on the 18th and 19th of December 2013. This will be an excellent opportunity to see the Resort and encourage more golfers to come to this area for their golfing holidays. Valle del Este would therefore like to announce that in conjunction with the this special televised event, will also be making you a SPECIAL OFFER for MARCH 2014 to encourage sales on the back of the SKY SPORTS TV coverage. We would therefore like to draw your attention to the attached pricing sheet with our offers . Compliments from Tee Times T.O.